When it comes to your daily routine, hair can play a major or minor part in the getting ready process. Most of the time when we’ve developed routines they tend to go on autopilot as we get through our mornings. Well, sad to say, but sometimes these routines aren’t the best for our tresses. Here are the common mistakes many of us guilty of making. Showering is part of mostly everyone’s morning, but even though our hair is getting wet we don’t need to shampoo it. Shampooing your hair too much will strip out the natural oils leaving your hair looking dull and dried out – even if your hair is on the oily side. Instead, try shampooing every other day (or every three days if your hair is naturally on the drier side) and using a light spritz of dry shampoo in between washes to keep it looking fresh. A lot of people seem to think that products will only damage your hair. Unfortunately, beautiful, flowing hair doesn’t happen naturally. Using products goes beyond just using a heat spray when you’re styling your hair. Hair masks, serums, leave in conditioners are only just a few examples of products you should have on hand when you’re styling your hair. Talk with your stylist about specific products to use when it comes to your hair type. Brushing your hair may seem like a sure fire way to get shiny and smooth locks, but when it’s done incorrectly it can do more harm than good. 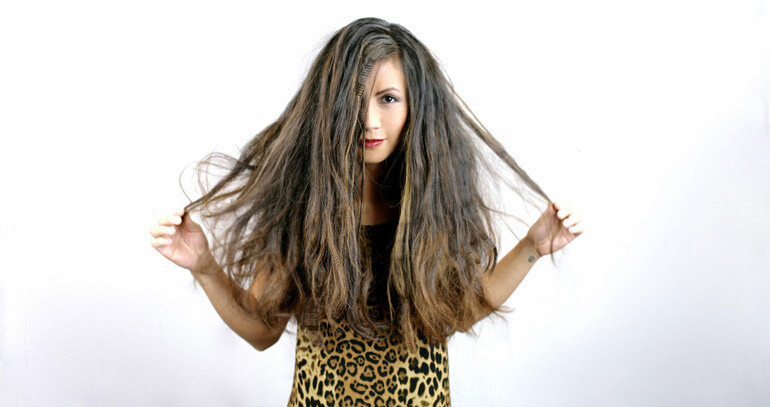 Brushing your hair results in more breakage and split ends. To avoid this, brush your hair with gentle strokes and limit yourself to about 15-20 strokes a day. It may be difficult at first, but your hair will be healthier in the long run. For those of you who have discovered dry shampoo, you’ll know that it can become a safe haven for days we “forget” to shower. Sadly, using too much dry shampoo won’t do you any good. Instead, it just dries out your hair leaving it looking dull. Make sure you’re spritzing it on your hair about six inches from your head and use it sparingly. Dry shampoo should never take place of washing on days that you really should wash. This one is something we’ve all been guilty of at least once or twice. Our hair can take some damage, but 400 degrees worth of damage is way too much. You don’t need to crank up your hair straightener to get slick, straight locks. In fact, you should only have your straightener on 350 degrees at most. This will help ease the split ends on your hair. Don’t forget to use a heat protecting spray when using styling tools. Brushes come in all different shapes and sizes. Sometimes, shopping for a new brush is either an overwhelming experience or a no brainer. Everyone’s hair type is unique to them. There’s a perfect hair brush for every texture. Finding the right brush will ensure the least amount of damage on your hair from brushing. If you’re unsure on which style of brush will work best on your hair, then talk with your stylist about which type will suit your hair the best.